At the end of each month, I’ll share a short list of links to articles, blogs, images, or videos I’ve come across online and think you might enjoy as well. This month, I was fascinated by the idea of art in unexpected places or forms. No Longer Art - A torn canvas and a broken Jeff Koons sculpture. 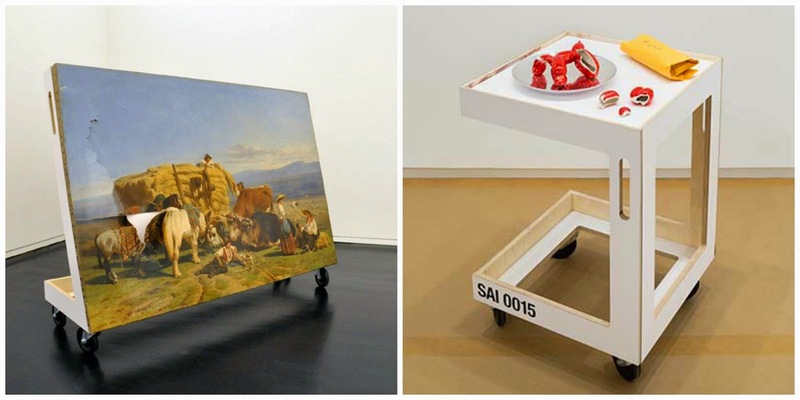 "No Longer Art: Salvage Art Institute raises fundamental questions about who determines the value of art. Typically the purview of art critics, museum curators, gallerists, and art collectors, the cultural valuation of art can be mysterious terrain. Enter insurance companies—with their actuaries and metrics—to flatten the score and determine a painting isn’t even worth the canvas it’s painted on. Artists do not often have a say in the “total loss” status of their own work." Palettes of Edgar Degas, Frida Kahlo and Henri Matisse. Photos by Matthias Schaller. Matthias Schaller's series of photographs, Das Meisterstück, examines the artist's palette as "an indirect portrait of the artist and the artist's technique." The palettes are fascinating and are immediately recognizable as belonging to the artists who used them. They are as, Schaller describes them, "the unconscious painting, or the painting before the painting." IXXI is a Dutch design company that will take just about any image - your own, or one from their catalog of images - and turn it into a flexible collage of tiles that you can install anywhere in your home. What I absolutely love is that they have an entire image bank of works of art from museums around the world. 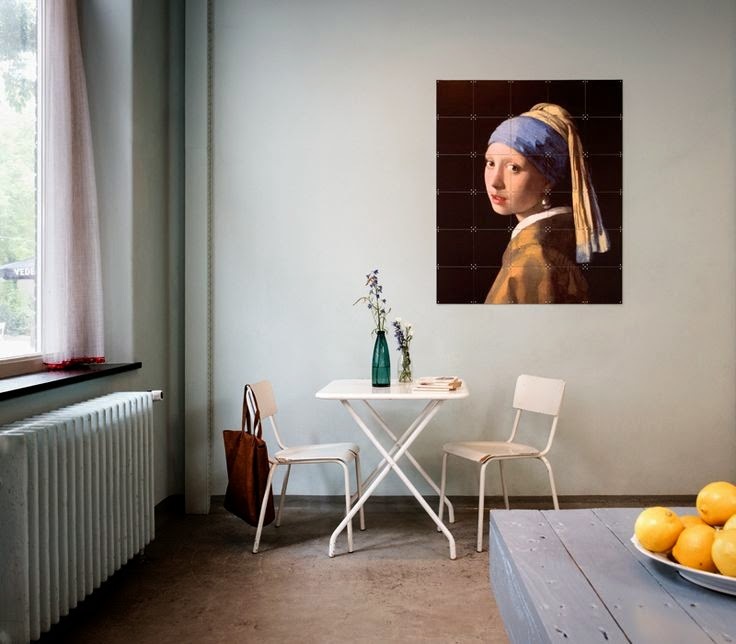 So, if you want a Van Gogh in your kitchen, or a Vermeer in your dining room, you can have one.